As many of you know the 1940 Census was released in April. The states are fully indexed and available at ancestry.com. I am a little behind in posting about my ancestors in the 1940 census. 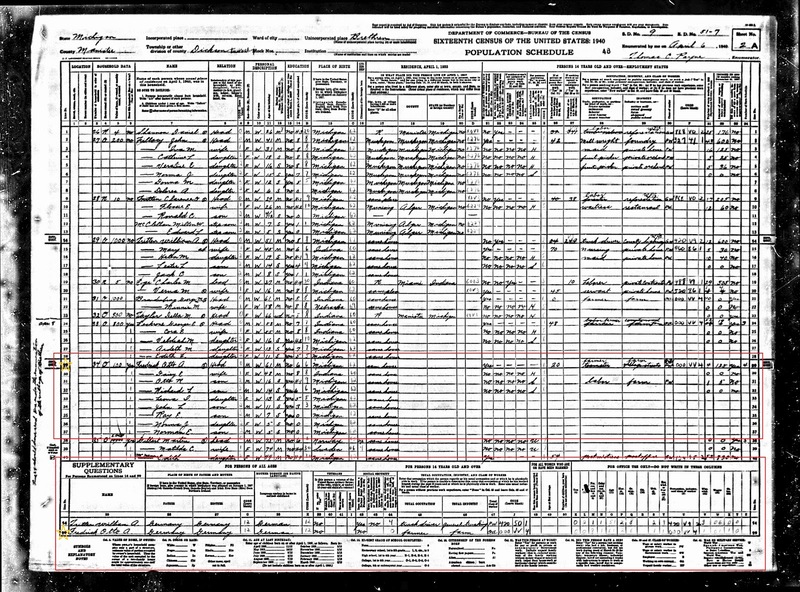 The second person I looked for in this census was my grandfather, Otto A. Fredricks, and his family. Otto A. Fredricks was found on line 29. Line 29? What's the big deal? Why would anyone be excited about that line rather than any other? If your name was recorded on Line 14 or Line 29 you were asked extra questions. These questions are recorded at the bottom of the census page. Birthplace of parents: Where was your father born? Where was your mother born? Native language: What language do you speak at home in earliest childhood? Veteran status: Are you a veteran? What war(s) did you fight in? If the respondent was a child, they were asked if their veteran-father was dead. Social Security: Do you have a Social Security card? Have Social Security deductions been taken out of your wages? Occupation and industry: What is your usual occupation and industry? This was used to track employment data and to see if the respondent was working outside of their normal area of work due to economic issues. Married women: How many marriages? What was your age at your first marriage? How many children were born alive? You can see why a genealogist would be excited to know more about their ancestor. I was. Additionally, the 1940 Census marked who the respondent to the questions was. Otto A. Fredrick was the one answering the questions for the family. Hopefully, he knew what he was talking about! 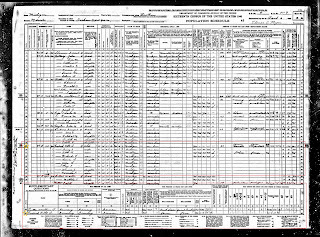 1940 Census page for Otto A. Fredrick, click to see larger view. Cropped version of 1940 Census page. I didn't really learn anything new from these questions but it was cool to see them anyway. Some of you may wonder why my mom, Audrey, is not with the family. She went to live with her sister, Kathryn Tritten, around this time. She can be found recorded with the Tritten family. An interesting aside, Line 14 happens to be related, too. A double WooHoo! Otto Fredrick's wife, Daisy, had a sister, Mary Ann. Mary Ann married William A. Tritten, the subject of Line 14.